Are you having a hard day? 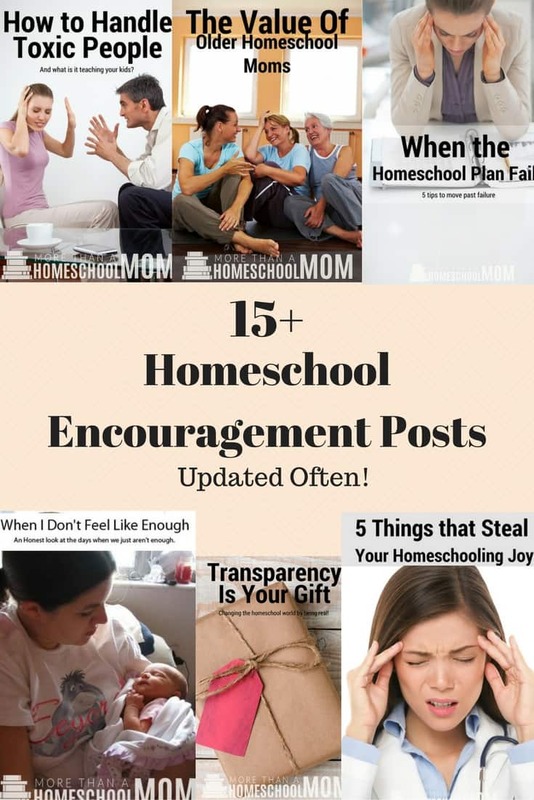 I have put together this great collection of homeschool encouragement posts just for you. Sometimes homeschooling really can rob your joy and leave you overwhelmed. I know that it is hard. In the last 6 years I have definitely had more than my fair share of hard homeschool days. However, you are not alone and the bad days don’t have to win out. I will continue to add new posts to More Than a Homeschool Mom and to this page so make sure to pin this post so you don’t miss out. Click any of the images below to check out the post.